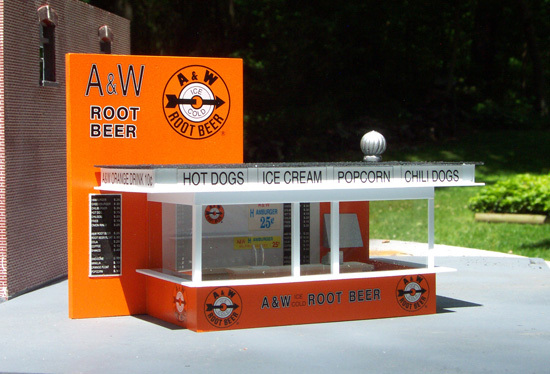 This is our A&W Root Beer Stand in HO. 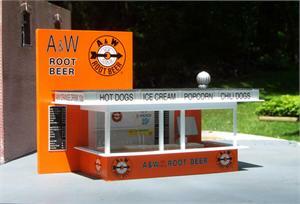 This was an actual stand from Canton, Ohio. The photos that we used were taken in 1950.